Hill Denson. 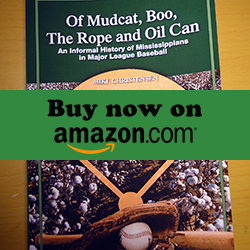 You’d be hard-pressed to find a baseball fan in Mississippi who doesn’t know that name. In fact, a large percentage of them probably know him personally. He has been involved in the game here for much of his 75 years, playing it, coaching it and elevating it along the way. Belhaven University, where Denson has coached the last 19 years, is throwing a party Saturday at Jackson’s Smith-Wills Stadium in honor of the Hall of Famer’s pending retirement. The Blazers will play Texas-Tyler at 1 p.m. The celebration will start well before that and won’t end ’til long after the game finishes. Denson played high school ball at Bay Springs, his hometown, then at Jones Junior College and Southern Miss. He is something of a state semi-pro legend. He coached high school ball, including 10 years at Callaway, before taking the job at USM, which he built into a first-rate program during a 14-year tenure. He’s also had tremendous success at Belhaven, winning more than 600 games. He’s part of the fabric of the game here, and Saturday’s celebration is richly deserved. Drew Waters, who grew up in Woodstock, Ga., rooting for the Atlanta Braves, is living the dream – and it’s moving fast. In the span of a few weeks in 2017, Waters led Etowah High School to a state championship, was drafted by the Braves in the second round (41st overall) and started his pro career with the Gulf Coast League Braves. He started 2018 at the low Class A level, finished it in high-A and will begin his second full season, at age 20, with the Double-A Mississippi Braves. Waters is one of nine players on the 2019 M-Braves roster rated in the Top 30 of Atlanta prospects by mlb.com. He checks in at No. 8. Right-hander Ian Anderson, slated to start tonight’s opener at Tennessee, is No. 3 and outfielder Cristian Pache is No. 4. The others are outside the top 10. Pache, who finished 2018 with the M-Braves, is considered one of the best defensive outfielders in the minors. Like Waters, he profiles as a center fielder. There are M-Braves veterans like Ray-Patrick Didder, Luis Valenzuela and Alejandro Salazar among the established hitters on this team, and 30-year-old Andy Wilkins has 150 professional homers, one in the major leagues. Pache showed needed improvement with the bat in his brief Double-A fling last season and in big league camp. The full breadth of 15 years of Mississippi Braves baseball was on display at SunTrust Park on Monday night when Atlanta played its home opener. There was Brian McCann, the first M-Braves player to get the big league call back in 2005, starting at catcher and delivering a big hit in his much-anticipated return to Atlanta. There was Freddie Freeman, M-Braves Class of 2009, manning first base as he has pretty much every day since he arrived in the ATL in 2010. (And over in the other dugout was Freeman’s M-Braves cohort Jason Heyward, now a Chicago Cubs outfielder but once a Braves star himself.) And also making their presence felt in the lineup was the Braves’ array of new stars: Ronald Acuna, Ozzie Albies and Dansby Swanson, all M-Braves of more recent vintage. Each of them drove in a run in the 8-0 victory, Acuna, the reigning National League rookie of the year, with his first homer of 2019. And the five pitchers who combined to shut out the Cubs are all M-Braves alums, from recent big league arrivals Sean Newcomb, Wes Parsons, Jesse Biddle and Chad Sobotka to the relatively old hand, Arodys Vizcaino. The Double-A M-Braves, who have sent more than 140 players to The Show, begin their 15th season on Thursday at Tennessee. The home opener is April 10 at Trustmark Park in Pearl. There will be more highly rated prospects on the roster, prepping for the big leagues, waiting their turn. The beat will go on. Enter your email address to subscribe to All Mississippi Baseball and receive notifications of new posts by email.